This page tells you the terms and conditions on which we will supply to you the Products made available for purchase on our website www.juicemasterdelivered.com (our Site). Please read these terms and conditions carefully before ordering any Products from our site. By purchasing an order from our site and entering into a contract, please be aware that you are agreeing to be bound under these terms and conditions. If you do not agree to be bound by these terms and conditions, you should stop using the Site immediately. You can find our terms and conditions here at all times and you should print a copy of these for your future reference. These Terms tell you who we are, how we will provide the Products to you, how you and we may change or end the contract, what to do if there is a problem and other important information. If you think that there is a mistake in these terms or require any changes, please contact us to discuss. Please pay particular attention to clauses 4, 6, 7 and 8. Please tick the checkbox in the prior to confirming your order to accept you have read and understood these terms and conditions. Please understand that if you refuse to accept these terms and conditions, you will not be able to order any Products from our site. 1.1 We are Juice Master LTD, a company registered in the England and Wales under company number 04632887. We operate the Site www.juicemasterdelivered.com. Our registered office is The Juice Factory, 8-12 Stanley Road, Northampton, NN8 1DY. 1.2 You can contact us by telephoning us at 0345 299 7111 or by writing to us at info@juicemasterdelivered.com. Urgent out of hours voicemails are monitored and will be responded to. We are also available to answer queries via our online form at www.juicemasterdelivered.com/contact, we aim to respond to these types of questions within 24 hours. 2.1 Our site is only intended for use by people residing in the United Kingdom of Great Britain and Ireland (Serviced Countries). We do not accept orders from individuals outside those countries. 3.2.1 It’s wise to check with your doctor before undertaking a juice programme. Please ensure that you have no allergies, or any other reason which may preclude you from doing the juice diet such as: underweight, anaemic, Type 1 diabetes, taking any prescription medicine, kidney failure or severe liver disease. You are advised to speak with your GP prior to undertaking a juice programme, if you choose to continue, you do so at your own risk. You must advise Juice Master Delivered of any food allergies. 3.2.2 All juices are unpasteurised. 3.2.3 Ingredients Include Allergens: Almond nut milk, celery. Produced in a factory which also handles other nuts and sesame seeds. THESE JUICES ARE NOT SUITABLE FOR THOSE WHO SUFFER WITH A NUT ALLERGY. Important: If you do become unwell or experience any severe symptoms, please do not assume it is the juice diet, you may be suffering from something unrelated. Consult your GP immediately. 4.1 After placing an order on our Site, you will receive an e-mail from us acknowledging that we have received your order. Please note that this does not mean that your order has been accepted. Your order constitutes an offer to us to buy Products. All orders are subject to acceptance by us, and we will confirm such acceptance to you by sending you an e-mail that confirms that the Product has been dispatched (Dispatch Confirmation). The contract between us (Contract) will only be formed when we send you the Dispatch Confirmation. 4.2 We reserve the right at our absolute discretion not to permit your purchase at any time and will provide our reasons for this commercial decision via the email address you have provided. 4.3 If we are unable to accept your order, we will inform you of this and will not charge you for the product and refund any monies taken. This might be because the product is out of stock, because we have identified an error in the price or description of the product, or because we are unable to meet a delivery deadline you have specified in your original order. This list is not limited to these suggestions. 4.4 If we have to contact you, we will do so by telephone or by writing to you at the email address or postal address you provided to us in your order. 4.5 “Writing” includes emails. When we use the words “writing” or “written” in these terms, this includes emails. 5.1 We may offer discount promotions and other types of voucher (Voucher) which require to be activated by email application in order for the holder to commence delivery of Products. We also offer e-Gift Cards which can be redeemed on our Site. These e-Gift Cards may not be used for purchases from the www.juicemaster.com shop. 5.2 If paid for, the Voucher/e-Gift Card is deemed to have been sold at the time of payment for it. All of these terms and conditions shall become applicable as between us and the holder of the Voucher (Holder) when the Holder redeems the Voucher by purchasing a Product. 5.3 A Voucher may only be used once by its Holder and may not be copied, reproduced, distributed or published either directly or indirectly in any form or stored in a data retrieval system without our prior written approval. 5.4 We reserve the right to withdraw or deactivate any Voucher (other than a paid-up gift card) for any reason at any time. 5.5 To use your Voucher you will be required to enter its unique code at the online checkout and use of such code will be deemed to confirm your agreement to these terms and conditions and any special conditions attached to the Voucher. 5.6 Any discounts attached to Vouchers apply to the price of the Products ordered only and not to delivery charges, which will be chargeable at normal rates. 5.7 We reserve the right to exclude the use of voucher codes on specific products. Vouchers will not be applied in conjunction with any existing account credit (Juice Points). 5.8 e-Gift Cards can be purchased from a minimum value of £25 to a maximum value of £400. Please note e-Gift Card’s will only be valid for 18 months from the date of the purchase transaction. We will not refund any balance remaining and we will invalidate the e-Gift Voucher after this time. This card cannot be exchanged for cash. We do not give change or cash refunds on gift card transactions. 5.9 Please protect your e-Gift Card and ensure the redeem code is kept confidential. We are not able to reissue an e-Gift Card, or accept responsibility for unauthorised use of your e-Gift Card. 5.10 The e-Gift Card will be received via email and may be sent direct to the intended recipient, at the time of purchase or at a specified time selected at point of sale. Alternatively, the e-Gift Card may be sent to the purchaser, who may then print the e-Gift Card confirmation email to provide to the recipient. 5.11 The recipient name and contact email are required at the point of purchase and e-Gift Cards may only be redeemed by the noted recipient. e-Gift Cards are non-transferrable. When using gift cards online or over the telephone, we will ask you to provide the unique 16-digit e-Gift Card code. 5.12 If you are using an e-gift card online and the total order value is less than the value of the e-Gift Card, any balance will not be able to be redeemed or exchanged for cash. Please therefore try to use the full e-Gift Card value when placing an order. 5.13 If you place an order at juicemasterdelivered.com using an e-Gift Card and subsequently cancel the order before delivery (in accordance with our Refund Policy), monies owing will be refunded to a new e-Gift Card. The expiry date will remain the same as the initial e-Gift Card purchase. This does not affect your statutory rights. 5.14 We reserve the right to refuse to accept an e-Gift Card which we deem to be tampered with, duplicated or which otherwise is suspected to be affected by fraud. 5.15 We reserve the right to amend the e-Gift Card terms and conditions from time to time, where we consider it reasonable and necessary to do so. 6.1 Each Product purchased is sold subject to its Product Description which sets out additional Specific Conditions related to that Product including, without limitation, terms and conditions concerning estimated delivery costs, dates and times. 6.2 All of our Products are shipped via DPD Local on a 24 or 48-hour service. No deliveries will be made available on Sunday or Monday. Please do not change delivery dates, times or location directly with the courier, all amendments must be informed to Juice Master Delivered. 6.3 The costs of delivery will be as told to you during the order process. A delivery charge will be applicable to all orders. If you require a certain delivery time, you will be able to pay a variable surcharge on premium delivery services and certain postcodes. These costs are available on our Site at www.juicemasterdelivered.com/delivery. 6.4 Delivery windows stated are an indication, and not a guarantee of delivery within these hours. If our delivery of the Products is delayed by an event outside our control, then we will contact you as soon as possible to let you know and we will take steps to minimise the effect of the delay. Provided we do this we will not be liable for delays caused by the event. Please contact us immediately for any delivery issues and we will do all we can in our juicy powers to resolve your query. 6.5 You do not have to be in to receive your order as we guarantee that it will remain frozen (if left sealed in the packaging) until your return on the specified delivery date. It is important to note, a ‘Safe Place’ location must be specified for us to be able to process your order. This is in all circumstances, even if you will be in upon receipt of your order. Your safe place may be: at a specified neighbour, back gate, inside porch, at reception etc. Please consider somewhere out of direct sunlight and away from a direct heat source if the box is to be left for a considerable time. This information must be supplied at checkout. 6.6 Requesting a driver to telephone you, rather than indicating a Safe Place, is not acceptable. If you request a driver to call a specific telephone number when delivering, please note that this does not constitute sufficient delivery instructions. We are not able to guarantee that the driver will be able to call you.6.7 Delivery will be completed when we, or our authorised courier company, deliver the Products to the address you gave us. If no one is available at your address to take delivery, we, or our authorised courier company, will follow the delivery instructions provided to us by you. 6.8 If no leave safe instructions are specified or inadequate instructions are provided, the driver may return the item to the depot or use their discretion to leave the Product in what they consider to be a safe place. If it is returned, we cannot guarantee it will not be destroyed due to its perishable nature. Juice Master Delivered will not be held responsible for loss or damage of deliveries once they have been correctly left as per your instructions or if your instructions are insufficient or unclear and the product is returned to the depot. 6.9 If a personal handover of the Product is not possible and no leave safe is available, the Product may also be delivered to a nearby household or business. A household or business shall be regarded ‘nearby’ if the recipient resides in the same building as the original addressee. In addition, the Product may also be delivered to a recipient residing in proximate walking distance to the delivery address (e.g. same housing complex, building on the opposite side of the street, next-door building). All aforementioned nearby households and businesses are subsequently referred to as “neighbours”. 6.10 The customer will be notified of such delivery to a neighbour by delivery notice or via email. 6.11 We will be unable to attempt a further re-delivery, due to the items being of a perishable nature. 6.12 If your parcel has not been received by 19:00 (or your specified pre 10:30am or 12 noon delivery time), please immediately contact: nancy@juicemasterdelivered.com or call 0345 299 7111 (option 1). Urgent email and voicemails are monitored out of business hours. 6.13 All supplementary Products ordered with your Juice Delivery will be shipped together. However, we reserve the right to amend the configuration of the ‘SOS’ bars included with your diet, subject to stock availability. 7.1 With regards to cancellations of orders, if we are contacted 24-hours prior to the dispatch date we will re-allocate your delivery date or issue a refund if required. Re-allocation must take place within 1 calendar month of the original specified delivery date and re-allocations may be to a different address (delivery surcharges may apply). If we are not contacted within this time frame, pursuant to regulation 27(1)(c) of the Consumer Contracts (Information, deactivation and Additional Charges) Regulations 2013, contracts for the supply of goods are exempt from the right to withdrawal if those goods are liable to deteriorate or expire rapidly. For any avoidance of doubt, we will not permit cancellations if they are not raised by you 24-hours prior to the dispatch date. 7.2 Once delivered, due to the nature of the Juice Diet supplied by Juice Master Delivered and the blast freezing preservation process, these items are not entitled to the typical 14-day cooling off period provided under the Consumer Contracts Regulation 2013 for distance sales. Please be aware of this before purchasing these items, as the Products are considered to be perishable, you will not be entitled to return them if you change your mind. 7.3 If any Perishable Goods you have purchased are faulty when they are delivered to you, you should contact us within 24 hours. Under the Consumer Rights Act 2015, perishable goods are not entitled to the statutory 30-day right to reject. The time limit of such Goods is limited in instances where the goods are perishable and is therefore determined by how long it is reasonable to have expected the goods to last, for example ‘use by date’. This example is not limited. 7.4 If you believe there to be a fault with the product, you must contact us within 24 hours of the product being delivered. We will then provide you with a pre-paid envelope in which you can send back the item. You must keep all packaging, so we are able to identify the product by its batch code. If you have purchased a juice package and are unhappy with one of the products, all products are made in individual batches and therefore there is no need to halt the use of the remaining juices in your diet plan. We will only be able to assess and investigate the matter if you are able to send us back all the necessary items we require to conduct tests on the allegedly faulty product. 7.5 Please notify us of any delivery issues within 24 hours of delivery. We are committed to providing you with the best customer service possible, so please make us aware of any service issues as soon as you are able so that we can assist you. Our packaging is designed to keep the product frozen for 48 hours, so please do not be concerned about your product quality due to delays. You must transfer your juices immediately to the freezer upon opening the box. Please do not refuse your box due to damage or delay. We may require images of packaging or product issue to work with DPD Local to continue to improve the delivery service. Delivery charges will be refunded at the discretion of Juice Master Delivered. This does not affect your statutory rights. Or (c) you told us before we accepted your order that delivery within the delivery deadline was essential. 8.1 Once the delivery is completed, according to Clause 6 in its entirety (i.e. signed for by customer, left in a safe spot as specified by the customer or considered safe by authorised courier company, or delivered to a neighbour if no leave safe is provided or available) the risk of any damage or loss of the box will be with the customer. Juice Master Delivered shall not be held liable for any damage, defect or loss which may occur thereafter. 8.2 We will not be liable to you for any indirect or consequential loss or damage arising out of any problem you notify to us and will have no liability to you for any failure or delay in delivering Products or any damage or defect in Products delivered which is caused by any event or circumstance which is beyond our reasonable control. Nothing in this clause affects your statutory rights as a consumer. 9.1 The price of the Products and our delivery charges will be as quoted on our site from time to time, except in cases of obvious error. Any typographical or clerical or other error or omission in any sales literature, quotation, price list, acceptance of offer, invoice or other document or information issued by the Seller shall be subject to correction without any liability on the part of the Seller. 9.4 Payment for all Products must be by credit or debit card or e-Gift card. We accept payment with Visa and Mastercard. 10.1The contract between you and us is binding on you and us and on our respective successors and assignees. 11.1 We are the owner or the licensee of all intellectual property rights in our site, whether registered or unregistered, and in the material published on it. These works are protected by copyright laws and all such rights are reserved. 11.2 You may print off one copy, and may download extracts, of any pages from our site for your personal reference. You must not use any part of our copyright materials for commercial purposes without first obtaining a licence to do so from us and our licensors. 11.3 If you post comments on the Products to any website, blog or social media network (Commentary) you must ensure that such Commentary represents your fairly-held opinions. 15.2 You will be subject to the policies and terms and conditions in force at the time that you order Products from us, unless any change to those policies or these terms and conditions is required to be made by law or governmental authority (in which case it will apply to orders previously placed by you), or if we notify you of the change to those policies or these terms and conditions before we send you the Dispatch Confirmation (in which case we have the right to assume that you have accepted the change to the terms and conditions, unless you notify us to the contrary within seven working days of receipt by you of the Products). 17.1 Contracts for the purchase of Products through our site and any dispute or claim arising out of or in connection with them or their subject matter or formation (including non-contractual disputes or claims) will be governed by English law. Any dispute or claim arising out of or in connection with such Contracts or their formation (including non-contractual disputes or claims) will be subject to the non-exclusive jurisdiction of the courts of England and Wales. Alternative dispute resolution is a process where an independent body considers the facts of a dispute and seeks to resolve it, without you having to go to court. If you are not happy with how we have handled any complaint, you may want to contact the alternative dispute resolution provider we use. 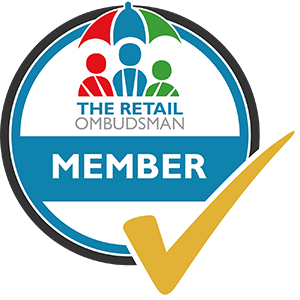 You can submit a complaint to RetailADR via their website at www.retailadr.org.uk. RetailADR will not charge you for making a complaint and if you are not satisfied with the outcome you can still bring legal proceedings. 20.1 The Juice Master Delivered JUICY POINTS CLUB Loyalty Scheme is promoted and operated by Juice Master Ltd.
20.2 These are the terms and conditions which apply to your membership of the Juice Master Delivered Juicy Points Club Loyalty Scheme (“the Scheme”) and the allocation of Juicy Apple loyalty points on purchases from the juicemasterdelivered.com website only. 20.3 The Scheme enables you to earn Juicy (Apple) Points from Juice Master Delivered when purchasing goods once registered on the Scheme. The overall price paid remains the same whether you participate in the Scheme or not. 20.3.2. The Scheme is only available to Accounts with a UK, Channel Islands, Isle of Man (IoM) or Republic of Ireland address. 20.3.3. Membership of the Scheme is entirely at our discretion, and accordingly, we reserve the right to refuse any applications. 20.4.1 For Juice Master Delivered Orders, registered account holders will earn one point for each £0.29 spent. 20.4.2 We may from time to time offer you bonus Juicy Points for specific promotions, subject to availability, but you will always be advised of the bonus points when the offer is made. 20.4.3 Where a minimum spend threshold is stipulated in order to receive Juicy Apple bonus points, the threshold amount must be met after discounts and all other permissible deductions, including other payment methods, have been taken into account. 20.4.4 We reserve the right to vary the Juicy Points available, the rate at which these points are allocated and or to cease to offer Juicy Points. Any change will be notified and advised to you in writing and/or by reward mailings. 20.4.5 Juicy Points cannot be exchanged for cash or gift vouchers. Juicy Points and reward or bonus vouchers cannot be transferred from one person or Account to another unless specifically notified and agreed by us. 20.4.6 You may not be able to earn or redeem any Juicy Points whilst you are in breach of your Account terms and conditions. Where we believe that there has been a breach of your notified Account terms and conditions, we may withdraw Juicy Points already allocated and/or remove you from the Scheme, at our discretion. 20.4.7 Juicy Points will only be added in relation to a valid Account at the time that purchases are applied to your Account or may be added at our discretion within the rules laid down by this and other Schemes as may be notified from time to time. 20.4.9 All the Juicy Apple Points you earn under the Juice Master Delivered Loyalty Scheme may be aggregated and presented as a total points balance and/or cash equivalent in your Account. 20.4.11 Juicy Points will be valid for 1 year from their issue date. After the expiry date the Rewards will be removed from your account and will not be valid, unless specifically agreed by us. Juicy Points may only be redeemed against the Juice Master Delivered product range and are not valid across Juice Master Ltd (Shop or Retreats). 20.4.12 Juicy Points may not be exchanged for cash. 20.4.13 Juicy Points cannot be redeemed against the purchase of Gift Vouchers, unless we notify you otherwise. 20.4.14 We reserve the right to substitute or remove product ranges/services/offers available for redemption using Juicy Apple reward vouchers at any time without notice. 20.5.1 If a Juice Master Delivered product is obtained solely using Juicy Points any refund will be given in credit vouchers. No cash refunds will be given in these circumstances. Where applicable, Juicy Points will be refunded to equal the value of Juicy Points originally tendered. 20.5.2 If you change your mind about a product purchased using your Account, and instruct a cancellation, any Juicy Points awarded for the original sale will be deducted from the Account. 20.5.4 If your purchase qualified for bonus points and the refund breaks the original promotional criteria then the bonus points earned in the original transaction will be deducted. If a refund is completed after reward vouchers have been issued, then points earned in the original transaction will be deducted and the points balance on an Account may become a negative value. 20.6.1 Your membership of the Juice Master Delivered Juicy Points Club Loyalty Scheme starts when your Account is opened, or when we determine the Scheme is available to you and ends when your Account is closed or when we determine that the Scheme is no longer in operation. This Scheme is operated by Juice Master Ltd.
20.6.2 All products featured in the reward mailings are subject to availability. 20.6.3 We reserve the right to withdraw or cancel the Scheme at any time giving Account holders seven days’ notice in writing. 20.6.4 We reserve the right to change or amend the Terms and Conditions of the Scheme. Any changes will be notified via email or advised in writing. If you do not agree to these changes, please notify us as soon as possible. 20.6.5 A copy of the latest Terms and Conditions of the scheme can be obtained from Juice Master Delivered Loyalty Scheme, 8-12 Stanley Road, The Factory, Wellingborough, NN8 1DY. 20.6.6 We reserve the right to take any appropriate action where the Account holder has breached the Terms and Conditions of the Juice Master Delivered Loyalty Scheme. 20.6.7 In the case of dispute, the decision of Juice Master Ltd. shall be final. 20.6.8 Please make sure your Account name and address are kept up-to-date and accurate to minimise security risks 32. These Terms and Conditions do not affect your legal rights. 20.7.1 I understand that membership of the Juice Master Delivered Loyalty Scheme will mean that the Juice Master Ltd may use transactional data on my Account for the purposes of analysis and so that specific Juice Master Delivered Loyalty offers may be made to me. I may opt-out of receiving Juice Master Delivered Loyalty Scheme communications at any time by contacting 0345 299 7111 and I acknowledge that this will result in my membership of the Juice Master Delivered Loyalty Scheme ending. We pride ourselves on giving excellent customer satisfaction. In the unlikely event of a complaint, please see our policy below (a full copy of our complaints procedure is available upon request). Tel: +44 (0)345 130 28 29. © 2016 Juice Master Ltd. All Rights Reserved.